ItemCUMB_991.046.001 - Blue Opium Lamp, Found at Chinatown, Cumberland, B.C. Item CUMB_991.046.001 - Blue Opium Lamp, Found at Chinatown, Cumberland, B.C. 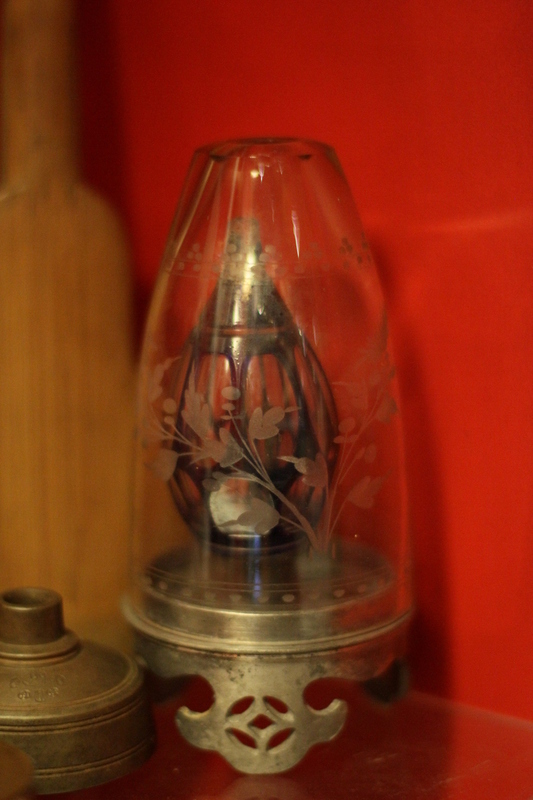 16 cm height x 8 cm diam; 1 opium lamp; metal, glass; light blue, silver, clear.